It is usually seen that selection of clothes for the fat or skinny persons is a difficult thing. It can be very difficult for skinny people to choose the right jeans as there are practically no useful tips or suggestions for them in the current age. The jeans available in the market are also aimed at medium-sized or overweight people, also at making people look as fit as possible. Avoid skinny jeans. 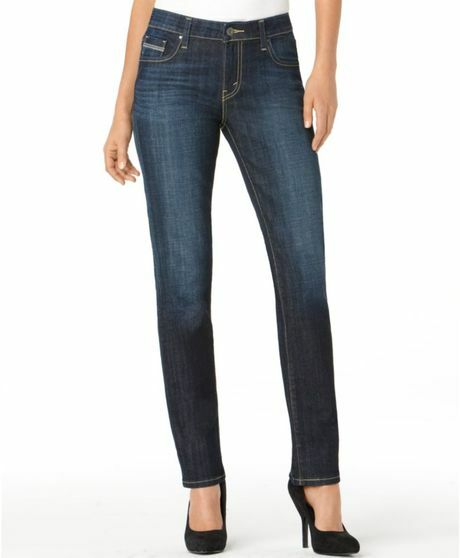 Skinny jeans or those made of stretchable fabric might accentuate your thinness. Go for boot cut jeans which are fitting at the waist and thighs. Look out for the “skinny boot” fit. Avoid high waisted jeans, especially if you are tall. It will make you look lanky. Opt for low waist jeans that will suit you better. Light colours make you look fatter and vice versa. Thus, take advantage of your thin figure to wear jeans of all shades. You can also opt for white color as well. A short top could make your legs look longer and thinner, again, thus they are best avoided. Go for a top which reaches just below your waist. Above all, it all depends on how you carry yourself. No matter how skinny or fat you are, a body with the right proportions will never look bad, as long as the person carries herself with confidence. I hope these small but efficient guidelines will help you to dress up in a better and swanky way. Cheers.